Woo-hoo! Just in time for Thanksgiving. Thanks for hosting the contest Eric! And congratulations to Rob for winning. 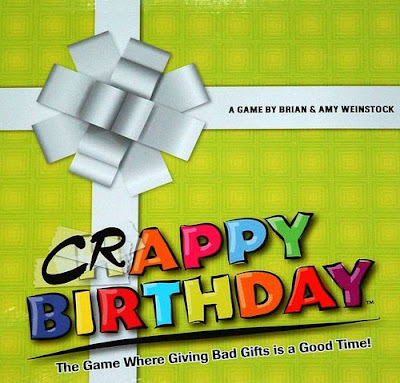 To everyone else: Crappy Birthday is now available at Barnes & Noble. Have a great Thanksgiving.